Craughwell Handicap Chase 2007 - UPDATED with Dates! In 2006, we ran a thoroughly enjoyable handicap series on Sunday mornings. This year, we plan to run a second term of it. We are a little later than ideal in getting organised, mainly due to work getting in the way of things! For those that aren't familiar with the handicap format, the goal will be that all runners finish at the same time, so you will be equally competitive regardless of your fitness or ability. Changes in Format over Last Year! Unfortunately our nice rural 10k route is not open to the public, so we have decided to change the format to a 5K series, following the route of the Craughwell 5k from the Galway series. Many people last year found that regular 10k races were just too tough. 5k is a nice accessible distance to build into any training plan. Another big advantage of this is that it makes estimation of handicaps easier and much more accurate following the fantastic recent Galway 5k series. Please read on to find out more details on registration and rules. Setting dates for this has been a nightmare. Mainly due to holidays and the already clogged race fixture list - especially in August. With these dates we avoid clashes with most local events apart from the Longford Marathon which is on the 26th of August. We will have changes in personnel manning the starter whistle to accomodate holidays. The races will all be aiming to finish at 8:00 PM. Because it's a handicap, we will be posting your actual start times up here before each race. There will be prizes for 1st, 2nd and 3rd overall and also one each for fastest male and fastest female. In a handicap series, 1st place generally means you have made the steadiest improvement over the course of the series. There is no need to have seperate male/female categories as you all have equal chance. For logistical reasons, we are restricting the numbers to 70 people. They will be registered on a first come first served basis. If you know your predicted 5k time please mention it in the mail. 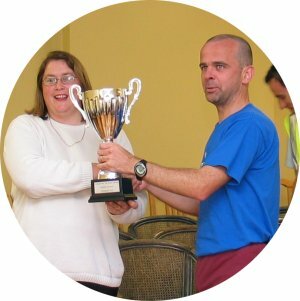 If you ran the 5k series in May we will take your handicap from the Craughwell race or failing that, whatever other race you happened to run). We require pre-registration as we need to work out handicaps, etc in advance of the race. We may be able to handle limited registration on the day if you are there early enough. 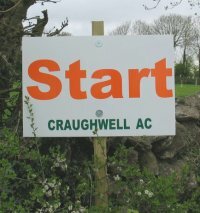 Entry to the series is free for paid-up members of Craughwell AC or Athenry AC. For members of any other club the entry is 10 euro for the entire 4-race series. Athenry AC get free entry as a word of thanks for their help to us in the logistics of the Galway Series 5k, and because we willl be looking to borrow their timer once again!!!. One of the hopes of the series is to encourage participation in Athletics and running Clubs, and for this reason as well as insurance purposes we are sticking with our rule that you need to be a member of an AAI registered club. We will try to have registration sheets for the Galway clubs on race day so if you are not already a member of one you can join the one local to you.